What can be more fun than getting together with your friends at the diamond for a game of slow pitch softball? Known as one of America’s favorite pastimes, it does not require much athletic ability or physique, only the best slow pitch softball gloves for you. What’s the Difference Between a FastPitch and SlowPitch Glove? The gloves for the catcher’s position in the slow pitch and fast pitch differ drastically. 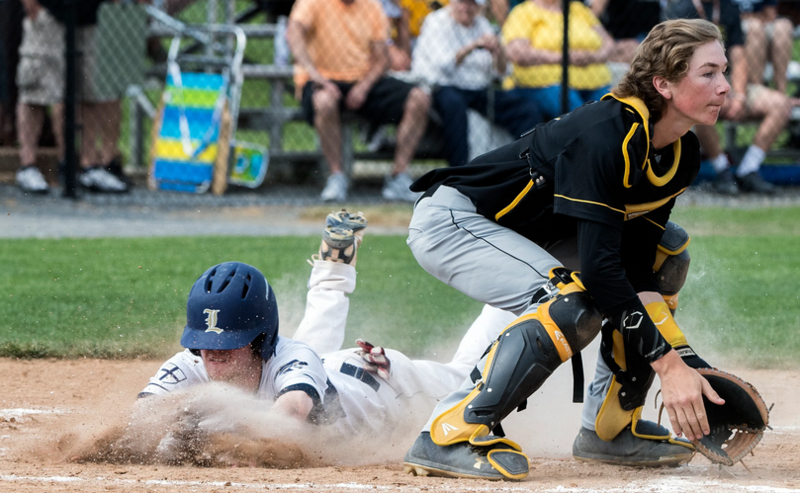 Each game has different requirements for the catchers and the fundamentals of catching in fast pitch softball are very different in the first place from those in slowpitch to necessitate a different mitt. Fast pitch mitts are therefore heavily padded to offer protection from the moving pitches which sometimes surpass 70 mph. Also, they have smaller pockets to accommodate the speedy transfers for base stealing and the bunt. At slow pitch softball things are totally different. The game has slower, higher-arcing pitches which can be handled with almost any mitt or glove. Because base runners cannot leave the base until the batter makes contact, speed is less of an issue and bunts are rare. Also, pocket depth is not that important either. Still, a good slow pitch softball glove can make all the difference in the game. But with so many options out there, it can be quite intimidating to try to find the right one. We wanted to make this task easier for anyone looking for slow pitch softball gloves and selected the top choices on the market. Mizuno continues to amaze us with the top-quality products they have been offering. The GPM 1403 brings together durability, style and the latest technology to offer a slowpitch softball glove that is not only comfortable and effective, but affordable too. 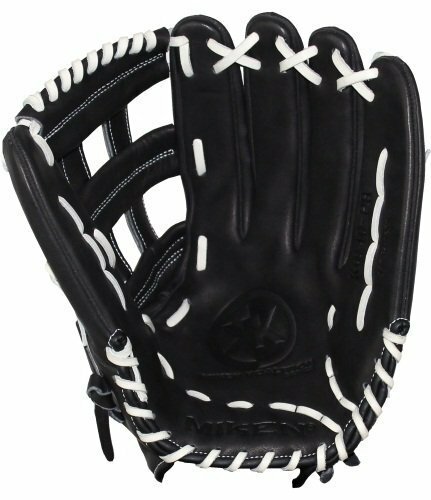 This glove can be used for both fastpitch and slowpitch. If you are a recreational player who wants a great glove for a great price, this option is great for you. This is a great glove for beginner and intermediate players, at an affordable price. It is also a great option for kids. The break time is minimal, so you can buy the glove and use it right away. 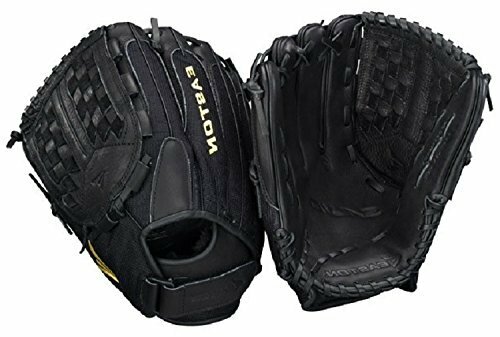 The Easton Salvo Series is quite a reasonable choice for a slowpitch softball glove. It has cowhide leather with added mesh to offer more flexibility while staying lightweight. It has a palm pocket which is deeper and wider compared to traditional gloves and a shock-absorbent padding to protect your hand from stinging. All in all, a very good choice from Easton. The Miken KO Series is an amazing slow pitch softball glove. It features USA leather with a full-grained shell which is both comfortable and durable. The company uses the PORON technology with enhanced padding to reduce hand sting. The glove fits a bit smaller to size, but all in all it is very comfortable once it is broken in. 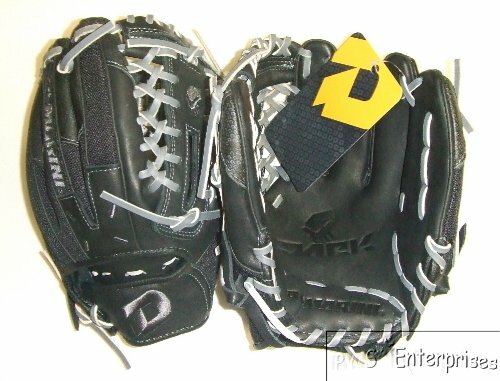 The DeMartini Diablo glove is suitable for both baseball and slowpitch, but it’s better as the second option because it has the large pocket size and closed mesh pattern. The glove has ECCO leather which ensures the glove is very comfortable from the first wear. The breathable lining helps reduce moisture from the fingers and wrist. It also features a palm reinforcement to reduce stinging. The best part about this glove is the game-ready broken-in leather, which means you can use it right away. 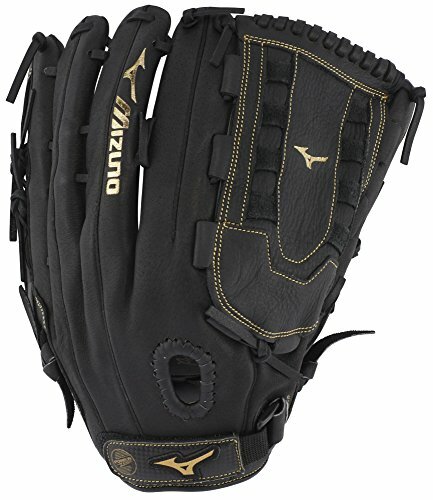 What is The Best Fast Pitch Softball Glove? You can use a slow pitch glove to play fastpitch softball with no problem. At the levels of recreational and casual slowpitch softball, there are not many differences between the gloves. Some slowpitch gloves are a little larger compared to fast pitch gloves because the size of the softball is larger too. But if you are just a casual player, you can use the same glove for both slowpitch and fastpitch with no problem. At professional levels, some players have personal preferences, but most manufacturers would design gloves that are suitable for both games. There are some positions, such as catcher or first baseman, which require special gloves for each game. This happens because in slowpitch catchers don’t have to catch pitches that are thrown hard from the pitcher, but they are lobbed in and easy to catch. What Should I Know Before I Buy A Slow Pitch Glove? Here are some features that you should be paying attention to before purchasing a slow pitch softball glove. 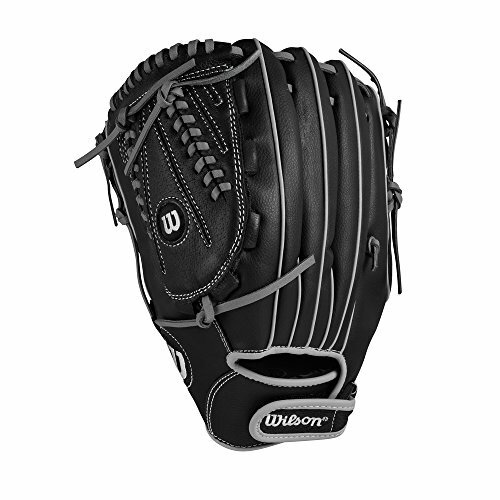 Durability – the glove should withstand the rigors of an entire softball season or possibly more than one. Web design – think what type of style or design you like or if you prefer a closed or open web. Analyze all the options and see which one fits you the best. Comfort – your hand should fit comfortably, and the glove should have an adjustable strap to loosen and tighten as needed, preferable Velcro. Size – What size should my slow pitch softball glove be? You should purchase a glove that’s between 12.5 to 13.5 inches, but you can go for 12” if you are an infielder and choose 14” if you are an outfield. Construction and material – the higher the price the better the quality of the leather and the most durable the glove. All of the slow pitch softball gloves presented above are great options and worthy of recommendation. Although it might seem a difficult choice to make, any of these gloves is worth giving a shot (or several).